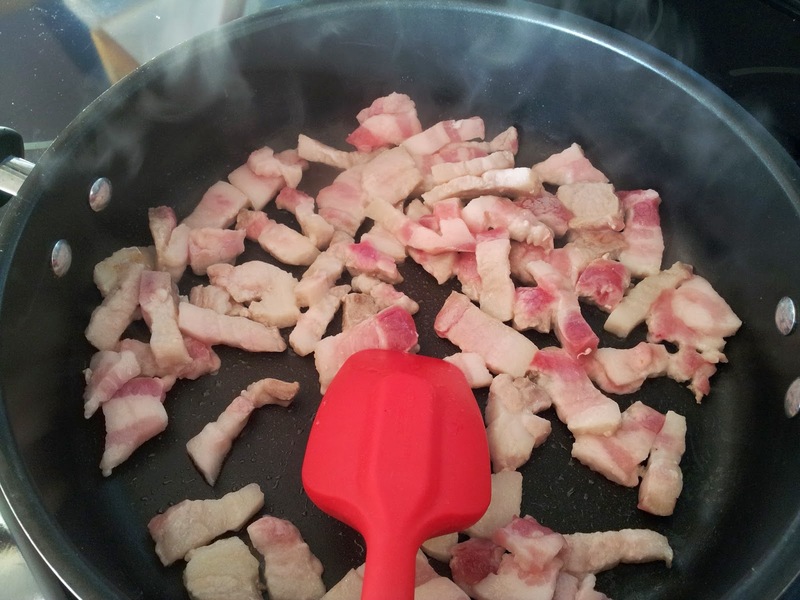 In a large pan, brown the pork belly on medium-low heat for about 5-10 minutes. You want to do this fairly slow so that the fat (oh yes...the delicious pork fat!) has a chance to render while the meat stays soft. Cooking this on too high of a heat will toughen the pork belly. 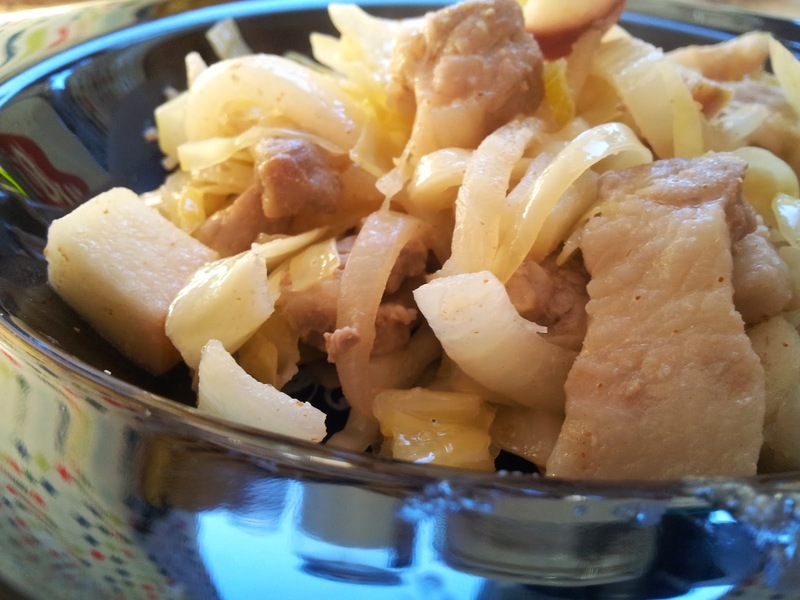 Once browned, add the cabbage, apple, onion, garlic, celery and toss throughout the pork so that the vegetables become coated in the fat. Turn the heat down to medium, and add the apple cider vinegar. 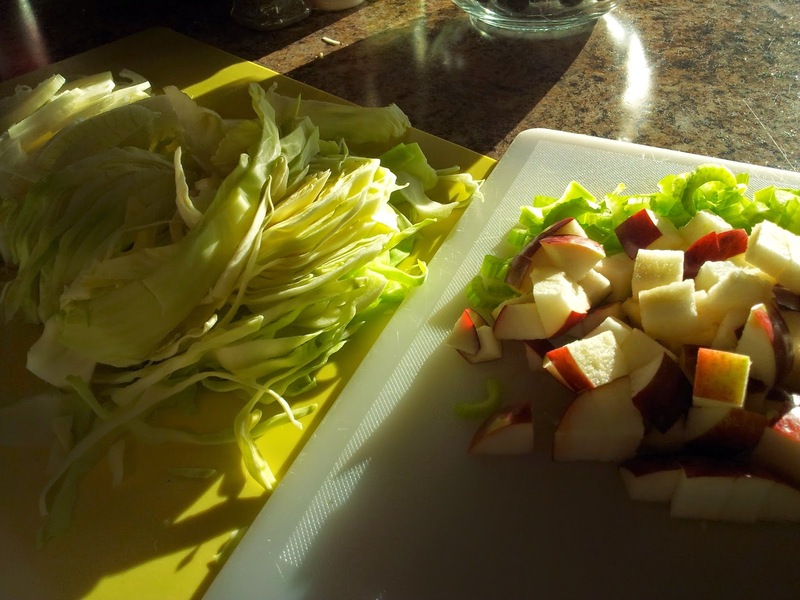 Continue to toss and stir fry until the the liquid has reduced, and the cabbage has reached either the tender crisp stage, or is soft to your liking. 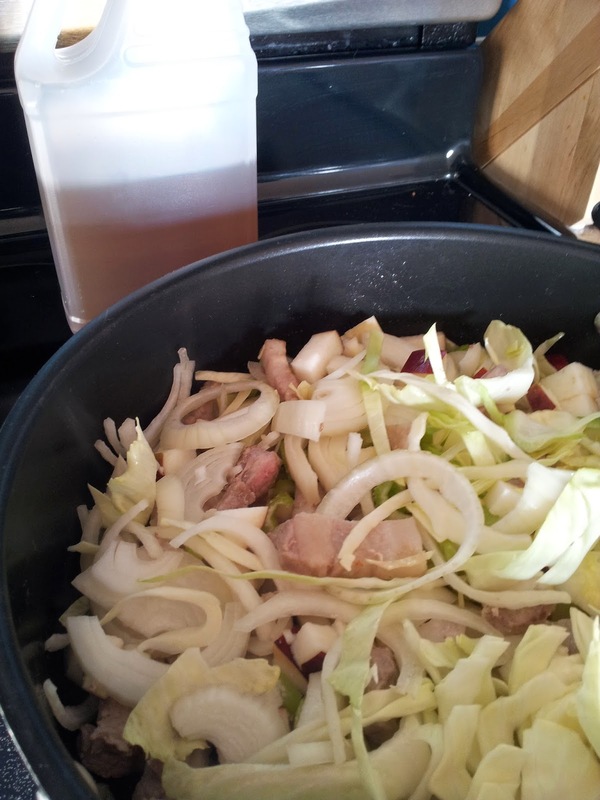 You can also put a lid over the pan for a few minutes to steam the cabbage to soften it. You want to stir fry at least for 15 minutes in order to allow the flavours to marry. 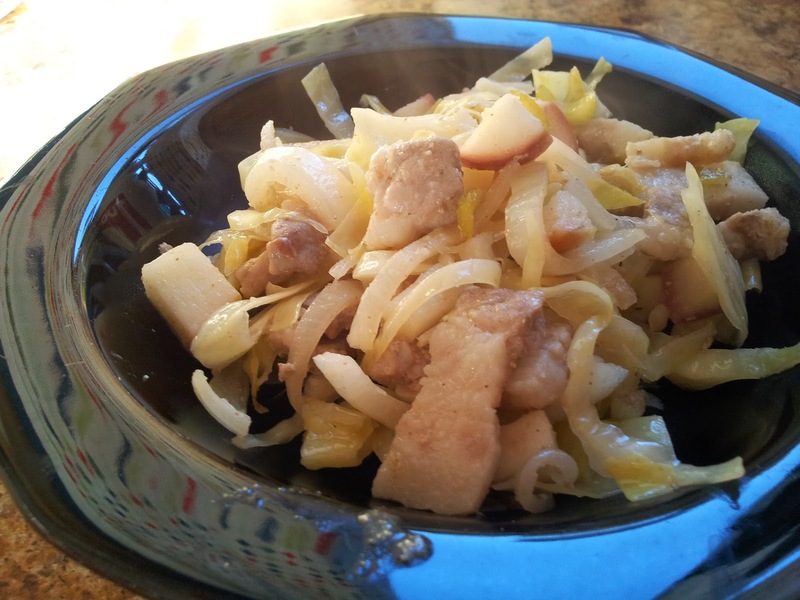 This is where the simplicity of this dish wows - apples, pork and cabbage are divine as a combination . No wonder they are found in so many cuisines! 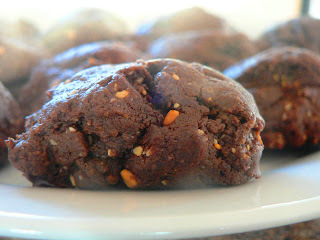 You know that I am going to make this!